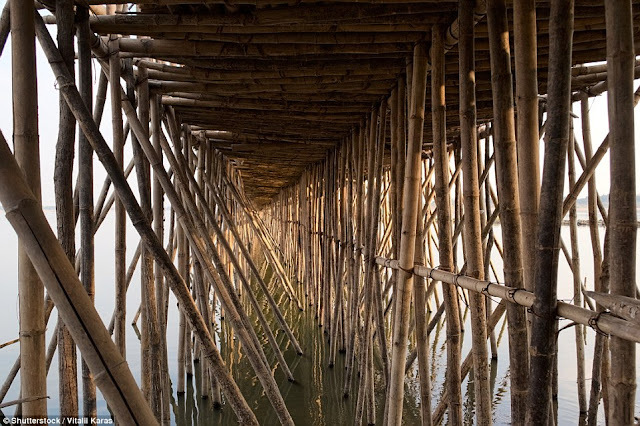 An incredible Bamboo Bridge in Cambodia around 3,300 foot long is taken down and rebuilt every year. 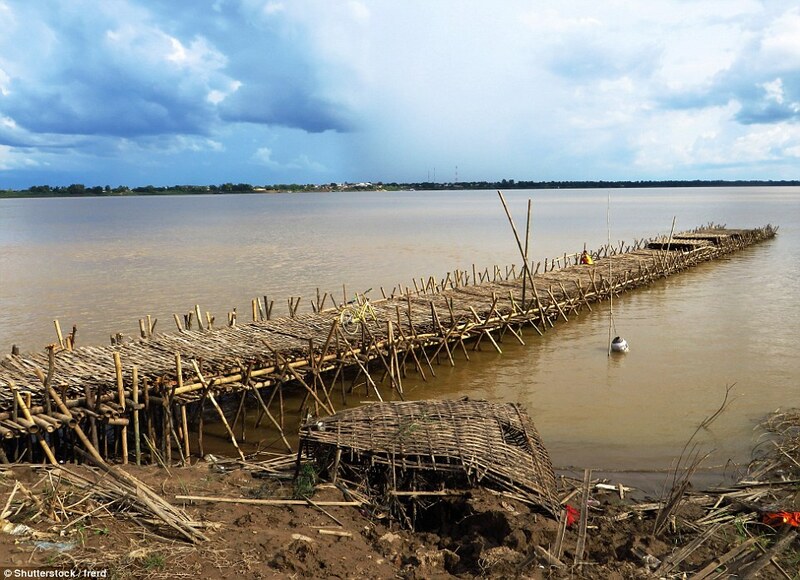 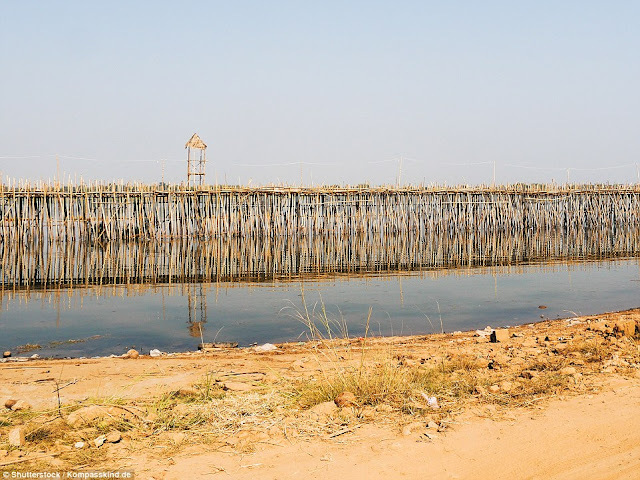 The amazing bridge contains 50,000 sticks of bamboo, built during the dry season to link the town of Kampong Cham with 1,000 families on Koh Paen Island across the Mekong River. 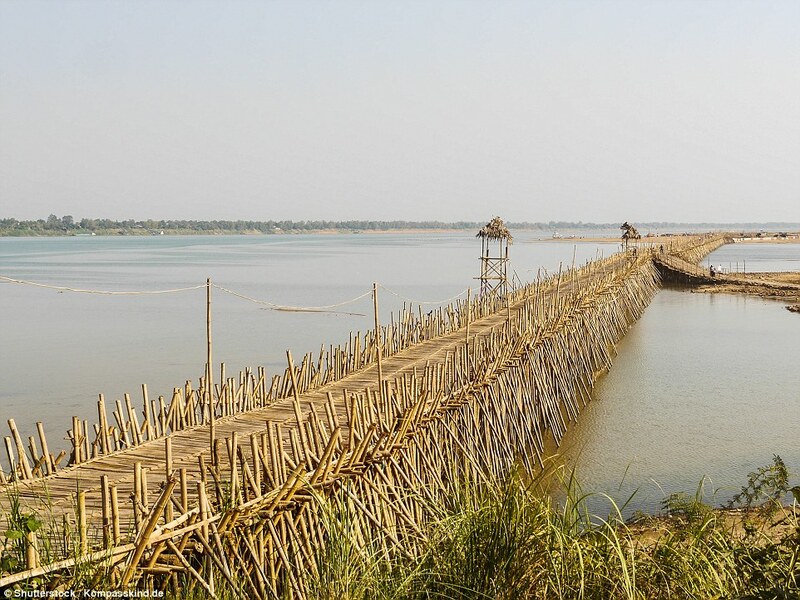 Due to fear of flood in rainy season starting May till November, the locals dismantle the Bamboo Bridge and store all of bamboos. 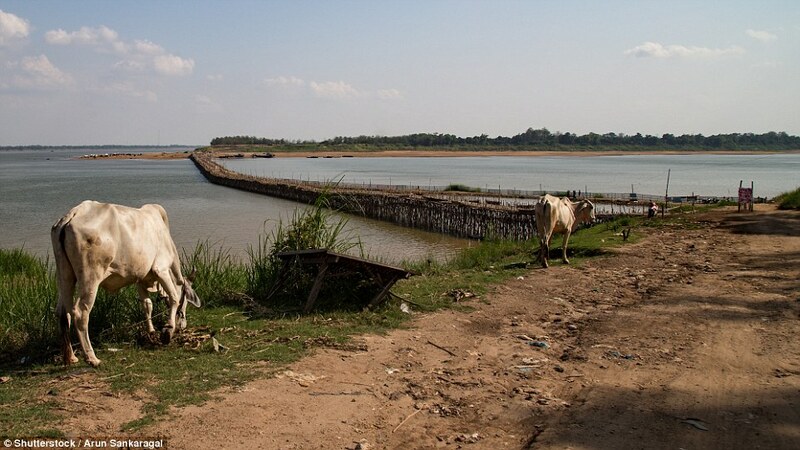 When the bridge isn't up, a ferry then takes people across the river. 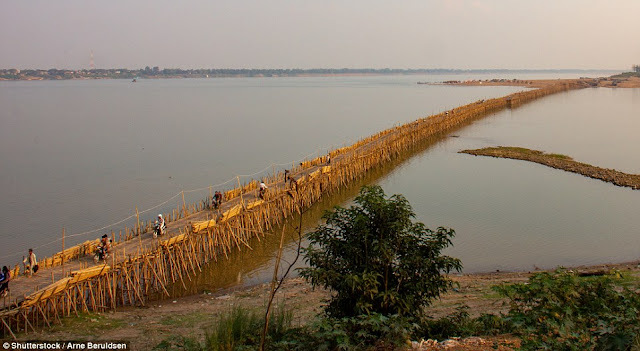 The constant building and dismantling of the bamboo bridge has taken place annually from many decades and was only missed several times during the civil war in Cambodia. The Bamboo Bridge is strong enough to accommodate motorbikes, cars, bicycles and Trucks. 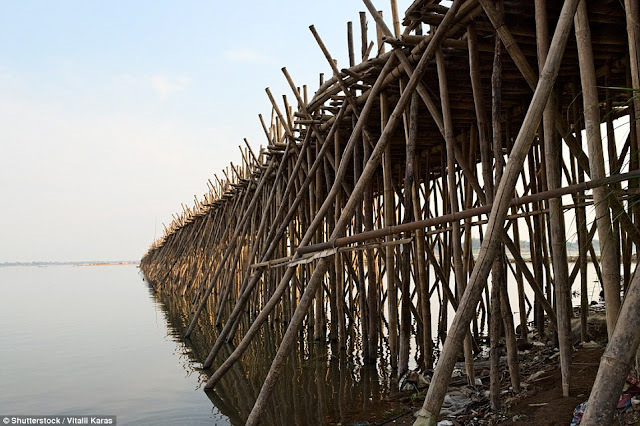 The bridge is also providing facility to pedestrians. 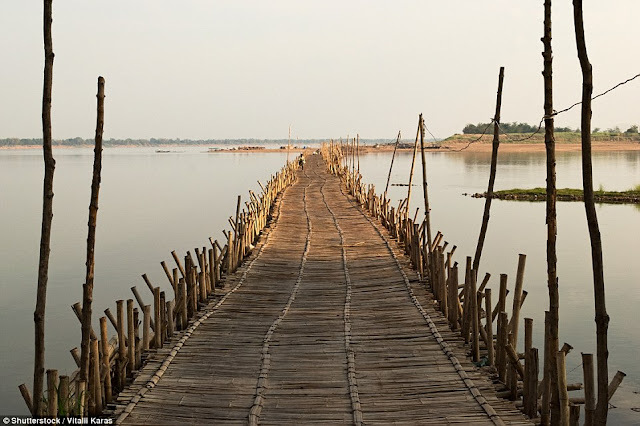 So, for to crossing the bridge locals charged 100 riel, which is only a few cents or one penny in sterling. 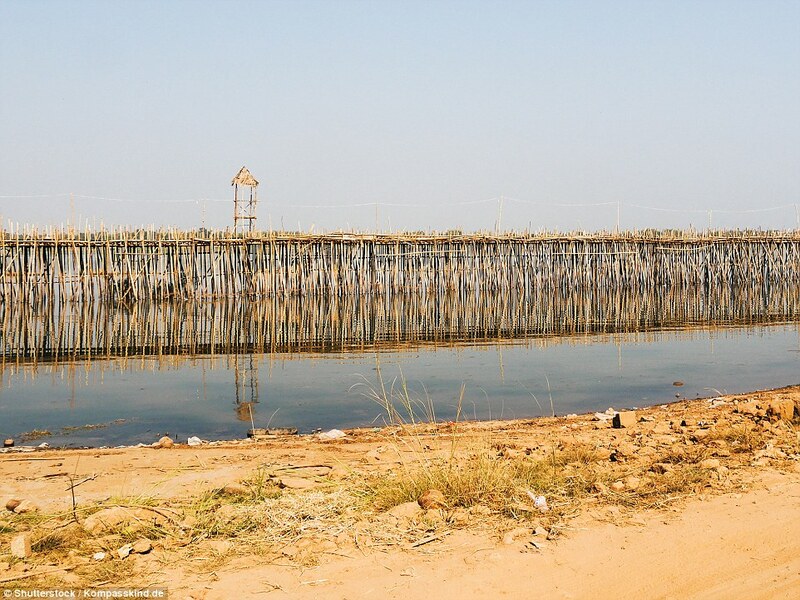 However higher fee charged from tourists up to 40 times more. Hence once the dry season comes to an end, the bridge must be dismantled and stored as the strong currents of the Mekong are too strong for the crossing to survive.